Reduce the strain when working with heavy tools and equipment. Husqvarna's Balance X Harness enables heavy loads to be distributed across a larger area of your body. It features a wide and ventilated back plate, with wide shoulder pads that reduce strain and help to spread the weight across more of your upper body. You can adjust the included shock absorbing hip pad to suit grass or forestry applications, and a travel connection is supplied. 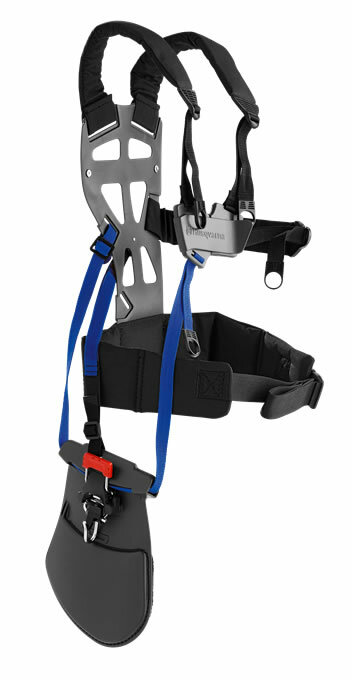 The actual harness has a simple chest plate and hip belt and is easy to adjust, as well as benefiting from a quick release feature to ensure safe and easy operation.